I’m finally getting back on track with the podcast! 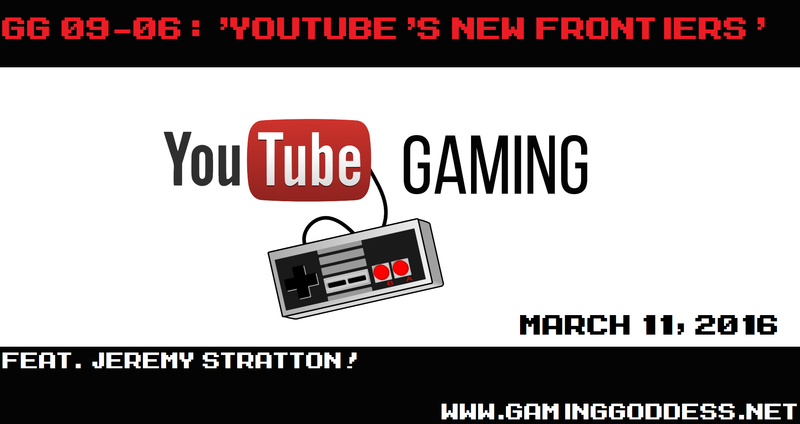 My good friend Jeremy Stratton returns to continue our multi-season dialogue about YouTube with another concept: YouTube appears to be moving towards being taken seriously as a network. So, what do we mean by that? The short answer is that for at least a year or two now, YouTube has been taking steps towards becoming an entity on the level of Netflix, Hulu, Amazon Prime, and even maybe some network TV stations in a way. My friend Greg Wilcox of Destroy All Fanboys pointed me to this video by Jim Sterling in which he talks about what this whole process means for the smaller creative types out there, how you’ll be starting to need a network to defend you and promote you, and how in some cases (one in particular that we discuss on the show about a mutual friend of ours) your livelihood could be in danger with a takedown of your channel with no real explanation given. And, the scary part of a lot of this is that all of that is totally legal. Plus, in a way, it gives the larger companies leverage over your opinions because they can request that your content (or channel!) be taken down due to it containing copyrighted materials (their game) and them not wanting it on YouTube (specifically because you talked badly about their product). Sure, some of that may be jumping the gun in a few places, but we do have specific examples to discuss! Anyway, hopefully all of this gives you something to ruminate over! And as always, you can subscribe on iTunes or grab the RSS, but the MP3 is available here.